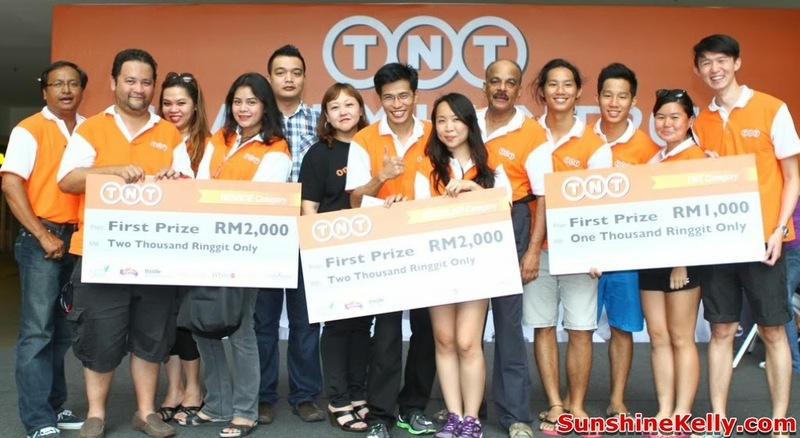 The TNT Charity Hunt 2013 ended on a high note as it saw an increased in number of teams, whereby more than 320 participants turned up as early as 6:30am for a good cause. TNT gave away RM60,000 to the homes - the funds were channeled equally to Precious Children’s Home, Shelter Home for Children, Pertubuhan Kebajikan Kanak-kanak Yatim& Miskin Wawasan in Port Dickson and Rumah Bakti Al-Kausar in Bangi. The TNT Charity Hunt is an annual motor hunt event organized to aid the children and youth. After more than 6 hours of decoding clues and manoeuvringin various locations that included Petaling Jaya, Pudu, Bukit Bintang and Cheras, teams from TNT Express Malaysia, Novice (for those new to treasure hunts) and Regular (for more seasoned treasure hunters) categories checked in at the finish line at Scott Garden Mall, Old Klang Road in Kuala Lumpur.